It is estimated by the Muslim Charities Forum that British Muslims gave approximately £100 million to charitable causes during the month of Ramadan this year. To give some context, that equates to approximately £38 a second. As we often do at periods of increased charitable giving, we issued advice at the beginning of Ramadan on steps donors can take to make sure their donations go to legitimate charities, such as finding out more information about a charity before giving, and checking it is registered with us. However, even if donors are confident that their money will be wisely spent, they won’t – in most cases - get to see the projects that they are supporting; the difference their generosity will make. Fortunately, charities are normally very willing to provide information about how donations will be used. With this in mind, I contacted some of the charities that are registered with us who had run Ramadan appeals to find out how the money they raised during the month will be spent. The sheer scale of the work is immediately apparent. One Muslim-led charity (not one of the largest) estimates that its work last Ramadan had helped over 1 million people. Much of this work is helping people in the most severe hardship, like those living amidst the drought in Somaliland or the conflict in Syria. My contact also spoke keenly of their desire to help people affected by the floods in Carlisle, and to run soup kitchens for the homeless in Britain. Charity may begin at home, but it certainly doesn’t end there; dozens of countries were named as areas of benefit, from Europe to North America, and right around the world. The charities’ projects were as interesting as they were diverse. 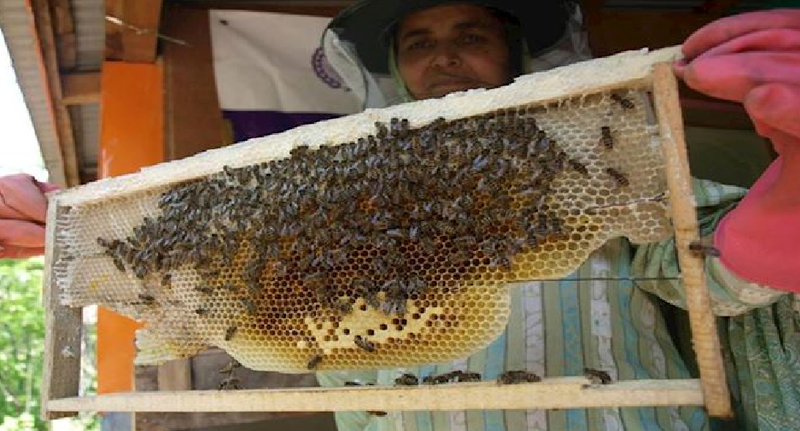 One was supporting people to start honey-bee farms in Palestine and Pakistan, another distributing hygiene kits and food in Haiti, another teaching hairdressers and beauticians how to sterilise their equipment to prevent the spread of hepatitis. In Mali, one charity was building ‘micro-dams’, harnessing water from flash floods to be consumed during the dry season. As with so much of the best charitable work, the focus was on sustainability: not just on helping those in need directly but providing them with the knowledge, skills and means to continue to support themselves. In speaking to the charities, I was reminded that all of this charitable work, this change, is reliant on generosity; that none of this would happen were it not for people choosing to spend money and time on something other than themselves. My contacts spoke of numerous people giving single donations of up to £30,000, as well as smaller – but no less valued - gifts and widespread, creative, community efforts to fundraise. 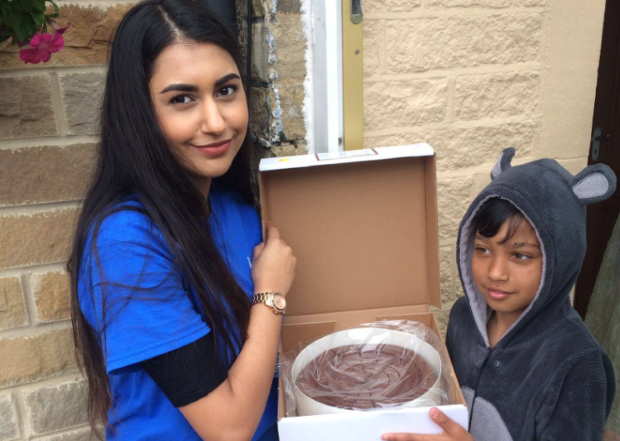 On one Sunday alone, one charity had 300 volunteers delivering chocolate fudge cakes to be eaten at Iftar, the meal which breaks the fast at the end of the day during Ramadan. The cakes, which had been ordered via a dedicated telephone hotline and website, cost £10 each. All of the proceeds will be used to provide humanitarian relief in Syria. A total of 22,000 cakes were delivered on long, hot Sundays during Ramadan by volunteers who were themselves not eating or drinking. “My own delivery took four and a half hours”, my contact at the charity reflected “I went round with my family, we all really enjoyed it”. That really is making a difference. The Charity Commission has produced safer giving advice on how to give to legitimate charities. You can search for registered charities, and find out more information about them, via the online register. Nice to see bridges being built across the sector, keep up the good work. May all charities make great leaps in helping the poorer community. Ma Sha Allah! If this sort of generosity continued throughout the year, we could be on the way in trying to alleviate world poverty. Thanks for verifying charities. What could be more cruel than stealing from the poor?! Very interesting and informative report. A big credit to the Charity Commission for their advice on using legitimate charities. No doubt, there still might be a couple of genuine charity organisations who were still not registered. Many thanx should go to these donors who do our country proud by their good deeds. Finally, the examplary practise of the Prophet Muhammad SAW and the Islamic teachings prove how wonderful this religion is that inspires the people so much and how blessful the fasting month of Ramadhan is that softens the hearts so much..... . It goes a long long way..... the teachings of Islam. Although a lot of money has been donated by lots of people, the people benefiting cannot be too many. There are far too many charities fighting for the slice of the same cake, each one with their own expenses and costs. Salaries to pay, overheads to cover, cost of travels to various places on the earth. All trying to do the same things with their own staff. Why can't they get to gather and share the resources and not duplicate everything ? Please consider these points before others want to become charitable and start another charity. 100 Million Pounds is an incredible amount of generosity. I do not personally know any Muslims and I have tried to understand your faith. Living your faith and doing so much good is the best example that you can set for your children. John if you ever want to learn more, let me know if you want to go for a coffee in London. John you can also read a book call Midnight in the Midnight series by Sister Souljah. I read it this week and got such a different perspective on the religion and people that practice it. I know and have friends who are also muslin and I don't do religion in any sense. You are absolutely right. Islam is very easy and simple. You can start by reading the Quran, then watch videos or lectures by Yusuf Estes on YouTube.